South Bay Polo Club was created to give people a chance to experience the wonderful sport of POLO. You don’t have to be a Prince to play “the Sport of Kings”. 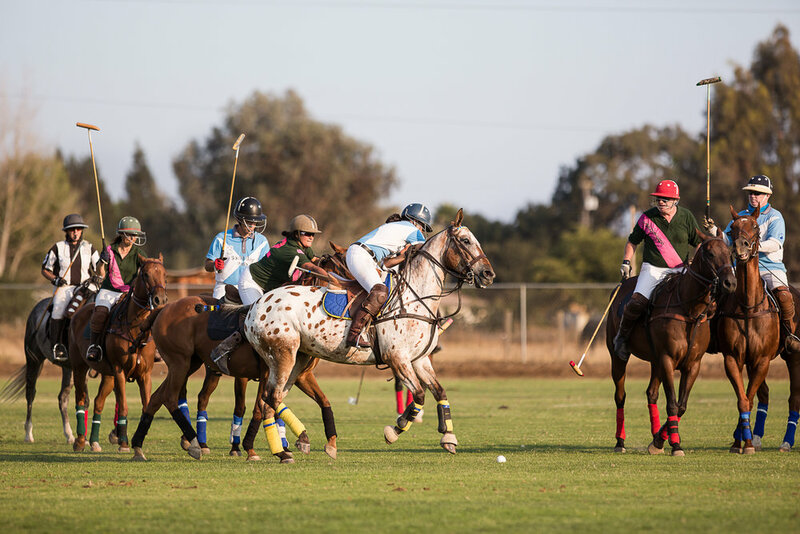 We accommodate all levels of play, from spectating to swinging a leg over a polo pony for the first time to seasoned players. We have something for everyone. Our club motto is "Come for the Polo, Stay for the Fun!" So grab a beverage, pull up a chair and enjoy a beautiful afternoon watching a fantastically high speed competitive game! For more information or to schedule your first lesson, please contact our club manager, Francesca at 650-353-6898 or click below to visit our site. Sugarloaf Farm offers kids and adults the opportunity to experience horses in a relaxed and safe environment. Our goals are to teach quality horsemanship and solid riding skills. We have the experienced lesson ponies and horses to do that and the instructors to make it a reality. We teach a wide range of abilities from total beginners through to those that want to compete at local shows. The chief instructor is Juliet Clarke, she is certified by the British Horse Society and has earned the US Dressage Federation's Bronze, Silver and Gold Medals. Randy Bentson is a Gilroy Police Officer assigned to the Mounted Enforcement Unit. He has been training police horses and riders throughout the state for over a decade and uses mounted patrol training techniques to increase horse and rider confidence.